2015 was the most successful year ever for the BMW Group with annual sales setting a new record for the fifth year in a row. A total of 2,247,485 BMW, MINI and Rolls-Royce vehicles were delivered to customers around the world last year, an increase of 6.1% on the previous year. December 2015 saw 213,537 BMW, MINI and Rolls-Royce vehicles sold (-0.8%). “In 2015, we launched a total of 15 new or refreshed models and our results show that these innovative new vehicles are popular with customers,” commented Dr Ian Robertson, member of the board of management of BMW AG responsible for global sales and marketing BMW, speaking at the North American International Auto Show in Detroit. “Our sales grew consistently throughout the year, despite headwinds in some markets. We expect many of those challenges to continue into 2016, so it’s important we continue to respond flexibly to market conditions in order to maintain our success,” he continued. Products throughout the BMW range achieved significantly higher sales in 2015, compared with the year before. The BMW 2 Series is proving very popular with customers with a total of 157,144 sold in the year. With a total of over 107,000 units sold, the BMW 2 Series Active and Gran Tourer sold extremely well in their first full year, accounting for over two-thirds of those sales. Similarly successful was the BMW 4 Series, where sales increased by 27.4% to total 152,390. 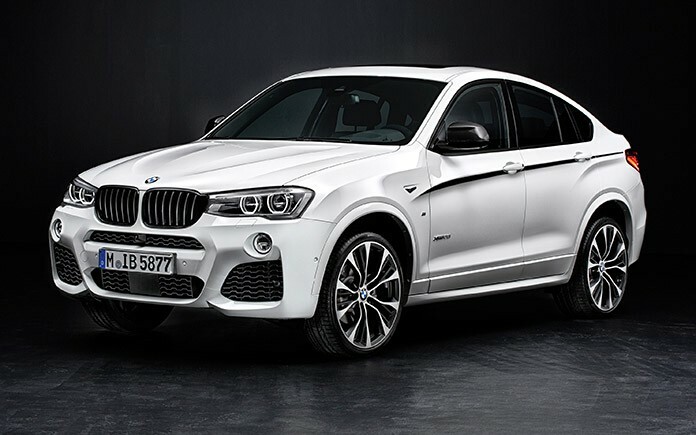 Deliveries of the BMW X4 more than doubled to a total of 55,050 (+153.8%). Overall, the BMW X family continues to be a significant growth driver for the brand with sales of the BMW X5 up 14.1% to total 168,143 worldwide and deliveries of the BMW X6 increasing by over 50% to 46,305. Rolls-Royce Motor Cars announced the second highest sales record in the brand’s 112-year history. The Goodwood-based brand delivered 3,785 units (-6.8%) to customers globally during 2015. Strong sales were reported worldwide, with the exception of Mainland China where significant headwinds have impacted on the entire luxury sector. Sales were driven by the success of Wraith and Ghost family motor cars in all regions, whilst Phantom remains the company’s pinnacle product, reaffirming its status as the world’s most desirable super-luxury good. The new Rolls-Royce Dawn drophead was unveiled in September, breaking all previous records for pre-orders. First customer deliveries will take place in Q2 2016. The BMW Group achieved an increase in deliveries in all major sales regions in 2015, in line with the company’s policy of striving for balanced sales around the world.